There are times when it would be just so much easier to quit. Do you allow yourself to become easily discouraged or do you push yourself to keep going? This makes all the difference. I want to tell you one of my favourite stories – “The Farmer’s Donkey”. It’s a fable of persistence. 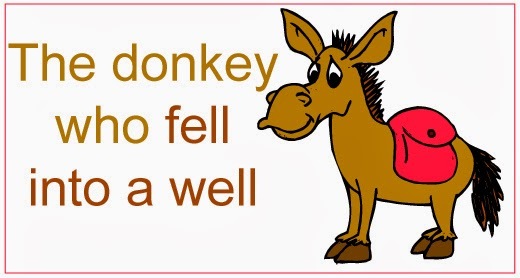 “One day a farmer´s donkey fell down into a well. The animal cried piteously for hours as the farmer tried to figure out what to do. Finally he decided the animal was old and the well needed to be covered up anyway, it just wasn´t worth it to retrieve the donkey. Life is going to shovel dirt on you, all kinds of dirt. The trick to getting out of the well, is to shake it off and take a step up. Each of our troubles is a stepping stone. We can get out of the deepest wells just by not stopping, never giving up! Shake it off and take a step upward!